Destroys all types of bacteria, yeasts and mould by releasing a strong chlorine sanitiser when dissolved in water. Cleans and sterilises in one operation. Can be used as a general purpose detergent sterliser. 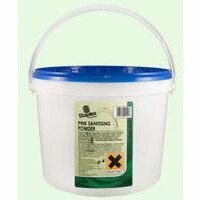 A free flowing pink powder which is readily soluble in water. The solution may be applied by spraying, mopping or brushing. Leave for 5 minutes then rinse with clean warm water. 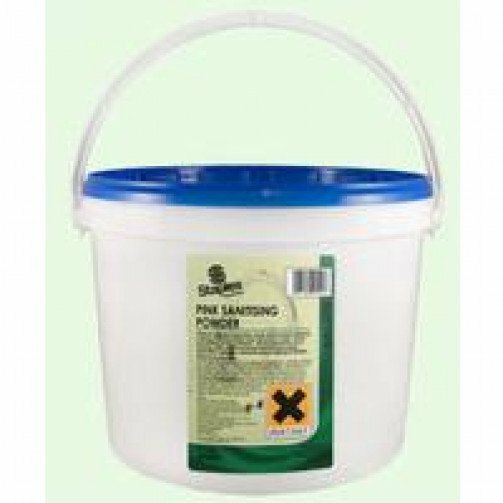 For circulation cleaning systems: sanitising powder is effective at approximately 0.2% dilution. Dispose of any unused diluted product at the end of each day. Make up a fresh batch of solution daily. Operators are advised to wear rubber gloves for their own safety. Do not mix with any other chemical, especially acids.